The above Java applet for playing tafl against the computer here works no more. 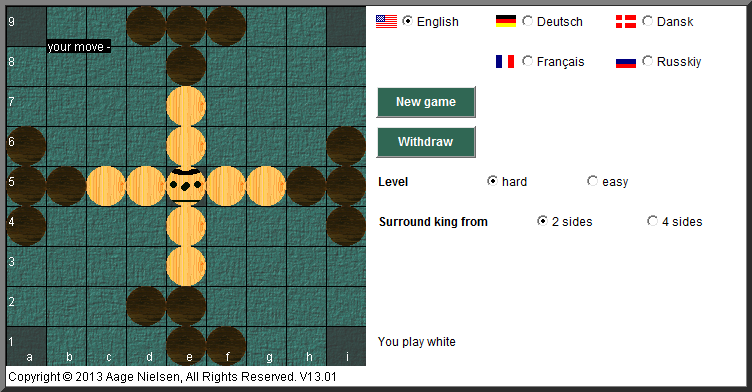 Instead you can try tafl against the computer at Play Tafl Online. - Or you can instead play against human opponents.